Sarah Creighton has just published a new site showcasing her work as a bookbinder for the last twenty-seven years. Sarah trained with Arno Werner and David Bourbeau, and went on to work with Gray Parrot and Hugo Peller before establishing her own bindery in 1982. Since then she’s bound editions for The Limited Editions Club, Pennyroyal Press (including the Pennyroyal-Caxton Bible), Warwick Press, Kat Ran Press, 21st Editions, ELM Press, and Chelonidae Press. 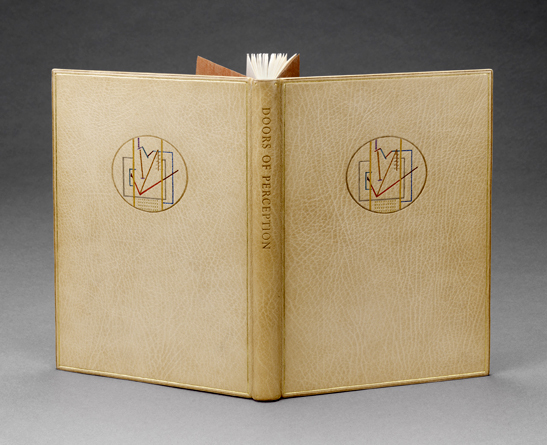 Over thirty of her bindings and boxes—in addition to a few of her own prints—can be seen at sarahcreighton.com. You are currently browsing the archives for the ELM Press category.